Am I the Only One Without an OTP? Let’s Discuss! I’m obviously supposed to have an OTP … or three … but I don’t. Well, okay, I guess I should clarify. I DO have an OTP in real life. I’ve been with my husband since we were in high school, so I think that totally qualifies. And, let’s face it, if I were going to choose between a bookish OTP and a real-life OTP, I’d rather have the real-life one. But that just doesn’t work for all these little questionnaires—I mean, if every time there was a question about my OTP, I answered that it’s me and my husband, I think you guys would (rightfully) roll your eyes. Um, that’s obviously not the intent of the question! So, I always sit and try to think about a couple I shipped really hard. I mean, I ADORE romance in books, so this should not be a hard question. Looking back at my recently read books on Goodreads, I see tons of couples that I really wanted to get together. Couples that gave me the feels and made me all swoony and sometimes tied my stomach in knots or even had me in tears when things weren’t going well. See, it’s not that I don’t love a good romance. It’s just that not many of these couples stand out in my mind in ways that make me think of them on even a semi-regular basis. 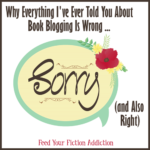 I’m not pining away for them … or even thinking about them at all when I’m not looking at my Goodreads read list. So are they an OTP? Probably not, right? I’m on the right side of the ship. Part of what makes an OTP so desperately angsty is when there’s a good chance your couple isn’t going to make it, right? But most of the time, I root for the obvious guy—the one who’s gonna get the girl. And when I don’t, I tend to have trouble attaching to the romance because I know I’m rooting for the wrong guy. Then I just get frustrated, and there’s no OTP in sight. Needs to be a series. There are lots of contemp couples that I love, but I tend to remember the fantasy ones more. Why? I think it’s actually just that memory thing again. I need at least three books to imprint a couple on my brain … constant reminders that I love them. If there’s a standalone with a couple I love … I tend to forget them without all that extra reinforcement. How about you? 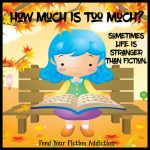 Do you have any OTP’s or do you tend to move onto the next couple in your mind once a book is over? I want to know! Er, I had no idea this was a thing. I think one of the pleasures of reading is that while in real life I am monogamous, in books I can always be looking for the next great romance, while not getting too stuck on any one in particular working out. The more love, the better, I say! Ooh! I do need to go talk to Jess. That just really bugged me for some reason, even though I wanted to be happy with the way things turned out. Lmao, I think you should definitely answer every questionnaire with the answer that your OTP is your husband because that’s adorable. But seriously, you’re not alone! I don’t have one either! I seriously never have answer for those questions. Although, actually, this is funny and oddly perfect timing because I was just telling this to someone the other day. You might think I’m crazy (or maybe not since everyone’s OTPs are fictional character so really mine isn’t any weirder than that), but I play The Sims 3 and I started playing this one couple again recently who I’ve been playing for a long time and just the other day I realized that THEY are totally my OTP. Like, I just freaking adore them as a couple. So there you have it, my OTP is my sims lol. A Sims OTP sounds perfect! I’m sure it makes the game more fun when you’re attached to the characters. Thanks for educating me, lol! I had no idea this was a big thing. I’m with you on many of your points, especially the bad memory. Most of the time, I know who is going to end up together so it’s a non-issue. I think that’s probably because I don’t read many books that have more than one romantic interest for the main character. The only series I can think of off the top of my head where I am probably rooting for the wrong guy is the Sentinels of New Orleans series by Suzanne Johnson. I’m in the pirate’s corner on that one! Maybe it’s not as prevalent as I thought, but I feel like I see it all the time. I almost always end up skipping the question when I see it somewhere. 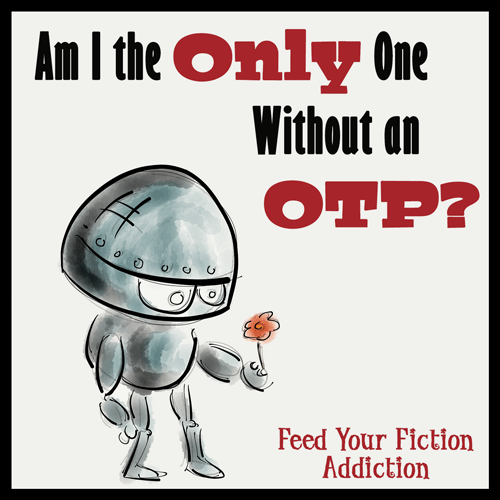 I think I’m the same as you with this one – there’s plenty of couples I’ve really liked in books, and plenty that’s i’ve shipped, but I couldn’t really say I’ve been bothered enough to have an OTP! I think a lot of it is memory with me too – I recently decided to post about my favourite book couples for Valentine’s Day, and had to really cast my mind back to remember the couples that i really liked (thankfully once I did, I was all like ‘oh yeah, they were so cute!’). I do think I sometimes end up on the wrong side of the ship though, just because in a lot of books it’s fairly obvious that the heroine will end up with the more conventional love interest, whereas personally I have a thing about the underdog characters! Never heard of an OTP before…possibly because I don’t read romances? Which means I don’t have one either. I guess you make up for my lack of OTPs then. We need some of me to balance you out, right? LOL! You’re not alone! I have no OTPs, and I’ve never gotten into the whole “shipping” thing. I guess I’m just not as passionate about book romances as other people. 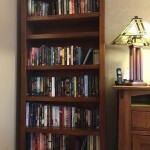 I’m looking at my bookshelves right now, and in most of the books, I don’t remember which characters ended up getting together. I can look at a list of books and remember that I liked the main couple, but I often can’t come up with even their names, so I figure I can’t be all that passionate about them. Yeah, I’m always stuck with “Elizabeth and Darcy” or “Anne and Gilbert” when I hear that question. I mean, in most well-written books the romance is set up to be rooted-for, right? It’s only with love triangles that there becomes “sides,” and it just seems weird to me to root for a couple that the author didn’t want to put together. I mean, I’m not a fan of Ron/Hermione OR Harry/Ginny, but not because I have my own romance in mind for any of them. It’s more that I met them as children, watched them grow into teenagers, and see no reason why they should have met the love of their life during that time span. And okay, I know there are people who shipped Gale with Katniss, but I was annoyed all along that he wasn’t just left alone to be her friend and big brother figure. It wouldn’t have affected the main plot at all to keep him as a platonic ally. There was enough will-they-or-won’t-they suspense with Peeta and Katniss already. As much as I love Six of Crows and the Lunar Chronicles, I also found it a bit weird that the characters are paired off so neatly. How about someone stays single? Or goes for the completely wrong person? Not everything has to be a romance. The neat pairing is definitely another issue. It’s often SO convenient! I am totally with you on this one. Whenever I am asked that question, I usually just pick the couple from the last book I read (I know, I am horrible). BTW, when I read about your OTP, I did not roll my eyes. I smiled and said “awww”. Yeah, I think I need to just pick one of the couples from my list and use it as my “stock” answer. Then I won’t have to fret about it anymore. And I’m glad I didn’t make anyone roll their eyes at me. I think I’m safe mentioning him as my OTP once or twice, but if I used it all the time people might start to look at me askance. LOL! I don’t really understand the concept of a OTP. There are couples I think work really well together, like Anne and Gilbert, but I don’t know that I’m so invested in any of them that I’d say they were my OTP…. Right. I’m just not THAT invested in any of these couples. Having said that, I’ll comment on your list. 🙂 Molly and Fitz jumped out at me- that was an emotional relationship because man Robin Hobb puts her people through the wringer. Poor Fitz… good grief. And Molly too. I remember HATING Burrich for marrying her, even though I sorta got it. Even now… err. I seem to ship shows more? Not that I go to overboard but The 100 is a case where I’m totally Bellarke lol. I’ve been listening to the Kingfountain Series by Jeff Wheeler and the main couple in that book is reminding me a bit of Fitz and Molly because they’re being kept apart by duty and outside forces. Only two books in, but it’s made me think a lot about Hobb’s books because of that. Which reminds me … I need to go catch up on Hobb’s newest series! I think it’s easier to get attached with shows because they run so long … that’s why I need a series … preferably a long one! I’m glad I’m not the only with no OTP. The only time I ever have any kind of ship is when it comes to TV shows because they run over a long period of time and they stick in my mind better. I don’t apply ships to books ever, really. I agree, there are no couples which stay with me too long after reading. I know there are plenty of books I want to reread but it’s for the story more than the couple. Honestly, I thought I was alone in having no OTP so it’s so good to know other people see it my way! Ha! Glad I could keep you company! I agree that it’s easier with TV shows because they run for so long and you have a lot longer to get attached to the couple. You’re not the only one! 😉 I’ve never bothered with OTPs, book boyfriends, and all that jazz. Maybe I’m not as much of a romantic as most other readers. Then again, like you, I’d probably care more about real life couples than fictional ones but even then, I rarely care enough to want to ship till the end of times. I love a lot of couples while i’m reading the book but as soon as I start a new one I kind of just move on. But if I had to had one OTP I would definitely have to go with Jamie and Clare from Outlander! I’m one of the only people who hasn’t read that series. I definitely need to fix that! I TOTALLY understand this feeling. I have some couples that I love but I’m not as angsty-obsessed with them the same way as I was when I was a teenager. I think now that I’ve been with my bf for so long (also since high school!) some of the mystique of reading about couples has faded (I still enjoy romance, I just find it doesn’t evoke as strong emotions, especially in YA when it feels like I’m sort of immune to some of the feels since it’s been so long since I was a part of the high school dating scene). If I were to choose an OTP it would definitely be one of Sarah J Maas’ couples! This is such a fun topic! I can see how not having an OTP would work out, but I definitely have two. My favorite by far is Katy and Daemon from the Lux Series by JLA and the 2nd runner up is Tristan and Scarlett from The Archers of Avalon by Chelsea Fine…..awww I just love those couples. But then I have like 30-40?+ more after that lol. I’m obsessed about characters, but I’m definitely always looking for my next “I love this couple so please let them with out” scenario. Oh. My. Gosh. I was the SAME way! And then it became my favorite series. So when I read it the 1st time, I only liked it. I struggled with understanding Daemon’s douche-baggery ways and his hot and cold feelings towards Katy only frustrated the ever loving daylights out of me. Then months (or a year?) later I saw the pre-novella, Shadows, go on sale and grabbed it for $0.99. Everyone kept raving about the series so I thought, what do I have to lose besides $0.99 lol. And reading that Novella, it ALL made sense. I got it. I fell in love with all of the characters. So I read the 1st book again and saw it in a completely different light and then devoured the rest of the series. 🙂 Funny how that worked and then it became my favorite series ever. I actually don’t think I ever read Shadows. I was feeling much better about Daemon by book 2, but it took me awhile to get there! I am so with you when you said you fall for the guy not the couple. YES! I’ve never put it into words before but I definitely do the same. There are exceptions of course, but for the most part I’m totally swooning over the guy and connecting to the guy and getting all the feels from him. Good call on that one! And I love that you mentioned Ridge and Sydney (well, okay, Ridge). Maybe Someday was the first book I read from Colleen Hoover and I have such a soft spot for it. Such a fun topic, Nicole! I’m glad I’m not the only one with memory issues! OMG, Acronyms kill me too! Ok so back at the OTP… awwww high school sweethearts that’s awesome Nicole! My husband and I have been friends since we were 12 and dating since we were 19. So that counts right? I have worse memory than Dory and I’m all about the guys too so this is a hard one. Let me think. Thinking. thinking. Thinking. OK OK OK OK GOT ONE! I could also add Wolf and Scarlet from the Lunar Chronicle and Penryn and Raff form the End of Days. Great post! I’m with you, I have book couples I like but no couple that would leave me lying crying on the couch for days on end. I usually end up rooting for the guy who always gets the girl so I’ve never had this problem. Yep, I typically root for the “right” guy—or I’m just not invested at all. ShootingStarsMag recently posted: Dual Review: Peter Darling + When Did 30 Become A Big Deal? I’ve never done that random shipping of characters really. Harry and Luna would be a fun combo that I’d never thought of, though! It is kind of true and weird that OTPs are more of a thing when they fail and you kind of carry on wishing they could’ve been together forever. I’m someone who is also always on the right side of the ship… BUT because I like to be a fangirl sometimes I still choose to make those included as OTPs. So here’s to Edward and Bella being my OTP forever. So true. It’s hard to get truly passionate about a couple when everything works out for them too easily.